Over the summer, a friend invited me to come along to a writing workshop. This sounds like a good plan, right? They were a group of writers, and I write things. Matchy-matchy. It became clear pretty quickly, though, that I had not asked enough questions ahead of time. This group was for writers who write a very different kind of thing than the things I write. I did not fit into this group. Objectively, I did not fit. Think of the produce section at the grocery store. You know how there are separate places for all the different vegetables? One section for carrots, one section for broccoli, one section for potatoes? If this workshop was the potato section, I was a carrot that someone had set down by mistake. But of course I did not think to tell myself, Oh, I am just in the wrong place. I am a carrot in a potato box. Nope. I immediately started playing the tape in my head that says, I don’t belong. They don’t want me here. I’m not good enough. Maybe I am just not the kind of person who belongs. This was ridiculous, and not only because I belong to a lot of things (a family, a book group, a grocery store rewards club). It was ridiculous because that isn’t what belonging means. That isn’t what belonging means. Belonging comes from being yourself and being seen, and that can happen anywhere, even with people who are totally different from you, even with people who want different things and believe different things. 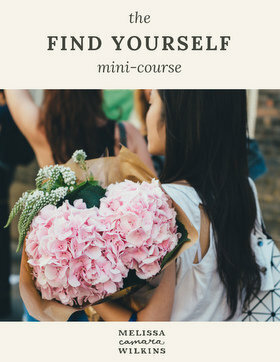 That’s why you can find belonging around your dinner table, or out in your neighborhood, or at work, or at the coffee shop, or maybe even on your Facebook page or in your Instagram feed. Belonging comes from being yourself and being seen. And that’s why, sometimes, we don’t find belonging in any of those places—because belonging isn’t about the people or the place, it’s about how we show up and whether we see each other. You can go through the world and choose not to be seen, and belonging will be hard to come by wherever you go. Or you might show up, really show up, only to discover that the people around you aren’t ready for that kind of connection. But finding belonging isn’t the only game in town. Unrelenting perkiness is a signal flare for me. When I hear myself speaking in all-exclamation-points, that is my clue that I’m hiding under a tidal wave of distractingly good cheer. It’s easier to ooze perkiness than to sit with the fear that I’m not good enough to belong. But there is always another option: I always get to choose whether to look for belonging, or whether to create belonging. This is what it looks like to create belonging. What if, instead of feeling out of place, I had turned to the person next to me and asked why they were here, and what they hoped for, and what they loved about their projects? What if I had listened well and made them feel heard? What if I worried less about whether I had anything to add, and more about being present where I was? 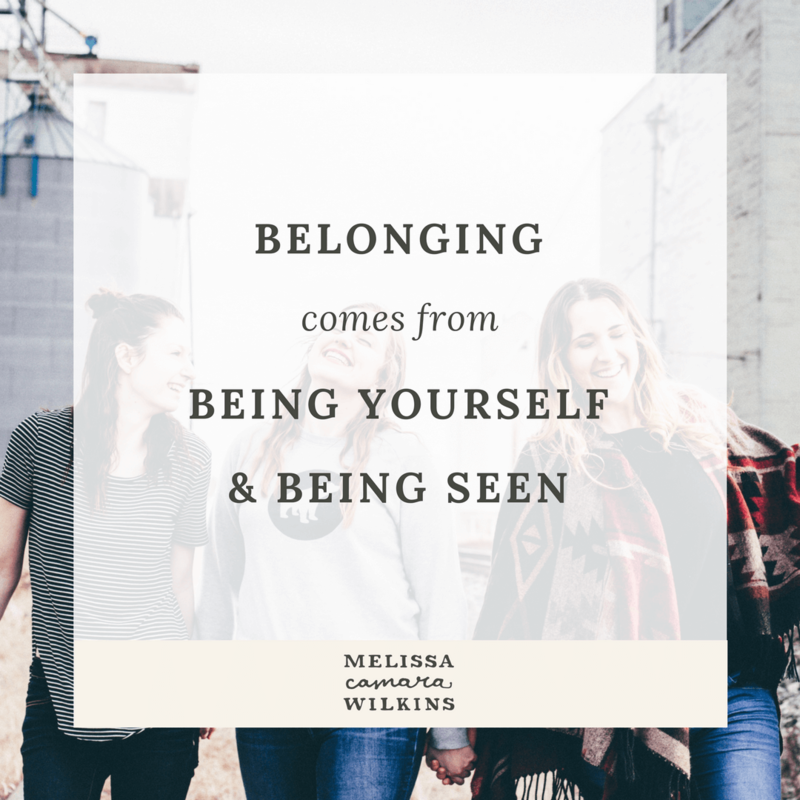 What if I remembered that belonging is not a transaction—belonging is about connection? This is the invitation, for each of us: to see the people around us. To ask honest questions, ones that show we’re paying attention. To listen. To celebrate the person in front of us. This is hard for me when I don’t yet feel like I belong. But someone has to go first. Someone has to create the first moment of belonging for everyone. You and I can do that. And also? You belong to yourself. Even if no one reciprocates—even if no one else ever makes you feel like you belong—you still belong to yourself. I still belong to myself, too. That’s why I can create belonging even if I don’t feel it outside me. Even if no one else gets you, you get you. Even if no one else sees who you are, you see. You know what you’re about. You know who you are and what you need. You belong to yourself. You can take that belonging and share it with the person next to you, too, because you belong to yourself and we all belong to each other. We just need a little help to remember, sometimes. So this is your reminder: You belong. You belong to yourself, you belong in this world, and you are a creator of belonging. You can give yourself space to show up, and you can create space for everyone else to show up, too. P.S. You belong here. If you need help to remember, come hang out with me on Instagram or Facebook and we’ll practice seeing each other more often.